Enter a unique name, for example SAP, CRM, ERP, OLTP. The separation development system / productive system is not recommended. 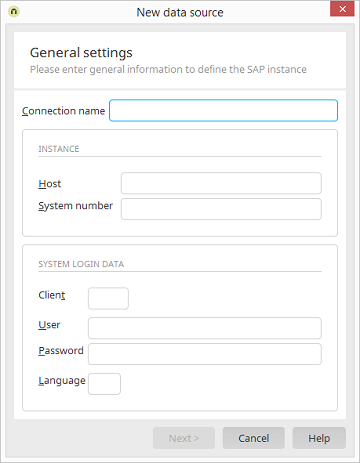 Enter the path to the SAP Server, (for example IP (192.168.200.100) or router string in the format /H//S/3299/H/). Enter the number of the system (00..99). Enter the client of the SAP System (000..999). Enter the username and password for the technical portal user. Enter the login language (for example DE, EN, FR).